A little over one month into our seeds’ journeys & you can see that they have all taken very different paths on their journey from seed to CSA. Evergreen Green Onions & Starhawk Lettuce were the first seeds we planted on February 12th. Both began with decent germination, but I soon saw the flaws in my methods. As the Onions & Lettuce grew, I noticed that germination was spotty, the seedlings were laying down rather than growing tall & standing and I didn’t really figure it out until I planted my 2nd round of trays – I didn’t dibble deep enough holes for the seeds & they were essentially sprouting on top of the soil. This left the roots exposed & did not provide a strong environment for survival. Kale was another one we seeded early because it too is a cold-weather crop. We started it under fluorescent lights and it was doing okay – a little leggy because it wasn’t getting the proper amount of light distributed amongst the whole tray, but it was a whole different story once we put them under the Total Grow Broad Spectrum LED lights – mmm, real light! However, the Evergreen Onion seedlings seem to be doing amazing under the fluorescent – I’ll take it! So it couldn’t be the trays fault. I know I planted the first tray of seeds too shallow, but I corrected it for the second tray – and still having issues. At this point, the only thing I can think is that the leftover seeds from last year’s planting actually did hit their expiration date – I’m going to keep the faith on these bad boys & hope they decide to come around! Moral of the story, always analyze, refine, and attempt to correct issues early or preemptively if possible! Dibble holes for seeds – AKA plant seeds at the proper depth. Total Grow Broad Spectrum LED lights over everything! (Except, maybe, for onion seeds). Be aware of the challenges – analyze, refine, correct & always have an open mind to learn from mistakes rather than punish yourself for them. 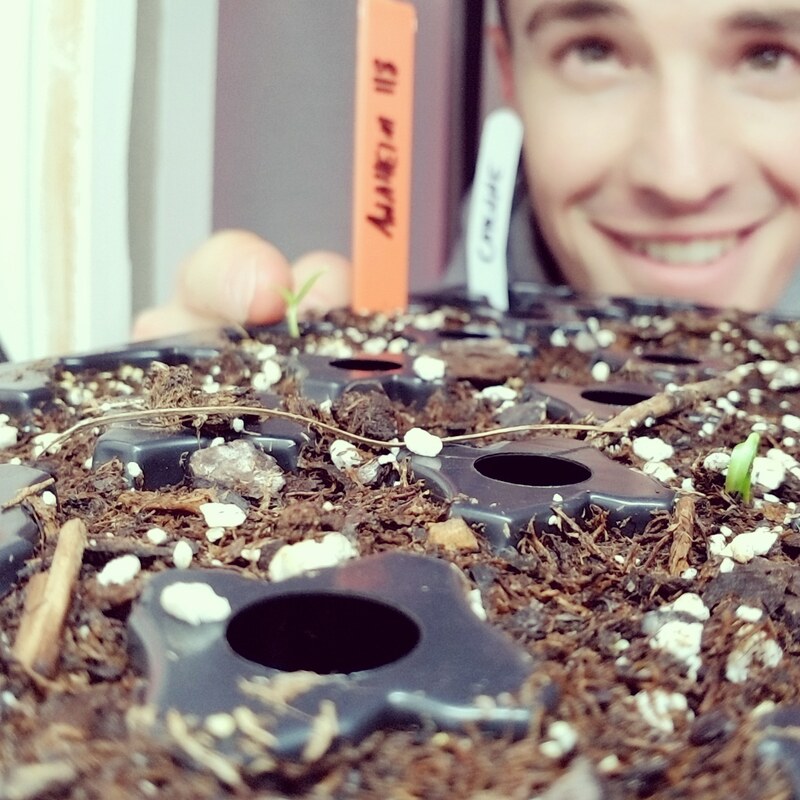 Seedstarting is my favorite time of the year because I get to dive into my passion of plants & gardening and because it’s conclusion is spring! I hope this helped with your seed starting questions – leave a comment with any further questions or challenges you have and I’ll be happy to answer in the comments or on my podcast on Anchor called Plant Rant! I had a look at your website, because of the note you included in an eBay purchase. We’re on the opposite end of the spectrum from you. We’re apartment dwellers and have started some seeds (parsley, cilantro, oregano and basil). These are in a window with eastern exposure (morning sunlight) in the kitchen. One day, perhaps, we’ll have a small outdoor garden when we move. That’s awesome! When did you start your seeds & how are they doing? I love growing herbs because they’re so much more flavorful when grown by your own hand. Another thing you could do is grow stuff in pots – you can grow a mixed pot of a tomato plant with herbs, lettuce and onions in that same pot. Maybe my idea is a little packed lol, but the options are endless in containers! Thanks for stopping by the site – I really appreciate it! Let me know if you have any questions or anything else I could do to provide some gardening value for you!